WASHINGTON — The American political system right now is so good at expressing outrage at distasteful/unethical/racist behavior. But it has become so bad at producing actual consequences for that behavior. The political world howled when two GOP congressmen — Chris Collins, R-N.Y., and Duncan Hunter, R-Calif. — were indicted, but both won re-election in 2018. 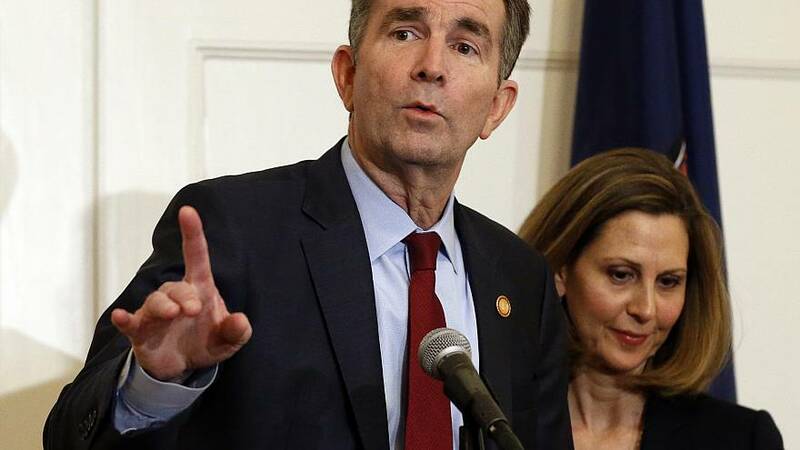 Democrats called for Virginia Gov. Ralph Northam and Lt. Gov. Justin Fairfax to resign after being accused of, respectively, past racist behavior and sexual assault, but both men are still in office. Republicans rebuked Rep. Steve King, R-Iowa, but he's still around on Capitol Hill. Oh, and President Trump, despite his approval ratings in the 30s and 40s, still enjoys tremendous support from Republican voters. And what happens when you only express outrage but don't punish anyone? Well, it only leads to more bad behavior - and then less outrage at future transgressions. So much of the lack of consequences in our current politics is due to our increasingly tribal/partisan electorate. The thinking: Sure, my congressman got indicted, but at least he isn't a member of the other party. A lot of it is due to the sheer hypocrisy. "Anti-Semitism has no place in the U.S. Congress. Congresswoman Omar, either resign from Congress, certainly resign from House Foreign Affairs," said President Trump, who said both sides were to blame for Charlottesville. And a lot of it is due to the man who currently sits in the Oval Office, while conservatives would argue it began with the man who was president from 1993 through 2000. The rationale: If he can get away it, why can't I? But there's one other thing to consider when it comes to the lack of consequences for bad behavior: What is forgiveness like? Where's the redemption? In this Trump Era, the last person who faced *real* consequences for bad behavior was former Sen. Al Franken, D-Minn. If the choice is between fighting versus being a pariah, what course will most politicians pick? There has to be a third door, doesn't there? Where's the beef, Howard Schultz? Speaking of expressing outrage but offering little else… In his CNN town hall last night, former Starbucks CEO (and potential independent presidential candidate) Howard Schultz once again spoke out for what he's against — but had no specifics for what he's for. SCHULTZ: I -- I -- what I -- I think is what being proposed at 70 percent is a punitive number. And I think there are better ways to do this. CNN: So what's not punitive? SCHULTZ: I -- I don't know what the number is, but I -- what I'm suggesting is, I should be paying higher taxes. SCHULTZ: But when I read the proposed bill, in terms of the Green New Deal, and I read that in -- by 2030, they're suggesting that every building in America is -- becomes clean energy, conforms to clean energy, just to put that in perspective, because it's not realistic, that would mean that between 2,000 and 3,000 buildings a day would have to be reconstructed to conform to what they're saying... And so let's be sensible about what we're suggesting. Let's not just throw stuff against a wall because it's a good slogan or we get a press release. CNN: So, Mr. Schultz, to that -- to that question, and because your question, Brielle, was about what's your plan, and many I think wonder is it fair to criticize the left and the right. What is your plan to make sure that every -- if it's not Medicare for all, what is your plan to make sure that every American can get quality, affordable health care? SCHULTZ: OK, first and foremost, three principles. One, I think everyone in America, every person deserves to have the right for affordable care. Every person. Second, there needs to be competition in the system... The third thing is that it has been tested, but not proven yet about interstate commerce among insurance companies. On Tuesday, President Trump criticized the border deal that Congress reached the night before. "I can't say I'm happy. I can't say I'm thrilled," he said. But all signs point to him backing the deal. Check out this cover from Fox News' Sean Hannity: "I'm not as concerned as some other conservatives if the president signs the bill, but there's are a couple of ifs," he said last night, per NBC's Kristen Walker. "The president would need to declare a national emergency…"
NBC News' Hallie Jackson reports this a.m. that several sources familiar with the president's thinking say they anticipate Trump will sign the deal, but those official caution that nothing is set in stone and note that the legislative text has still not been finalized. Democrats get a key Senate recruit in Arizona, but are they ready for what a contested primary might bring? Senate Democrats yesterday scored their best recruit of the still-early 2020 cycle, when former astronaut/gun-control advocate Mark Kelly said he'd challenge appointed Sen. Martha McSally, R-Ariz. But Democrats also might find themselves with a contested primary. Here's what Rep. Ruben Gallego, D-Ariz., tweeted after Kelly's announcement: "I've made no secret of the fact that I'm looking seriously at running for the U.S. Senate in 2020, and that hasn't changed. I'll be making a final decision and announcement soon." A Kelly-vs.-Gallego primary could turn into a fight over ideology (something Kyrsten Sinema didn't have to deal with in her successful Senate bid in 2018), as well as a test over the power of Latino voters in the same. Then again, Gallego could still pass on challenging Kelly in a Democratic primary, since he'd be giving up his House seat to run for the Senate. John Hicklenlooper is in New Hampshire… Pete Buttigieg hits Chicago on his book tour… And Howard Schultz continues on his own book, visiting Philadelphia.